Those who want to hire top talent have to offer something new and special. With a recruitment rate of 1.7% and strict hiring requirements, finding new talent poses quite the challenge for Goodgame Studios. Yesterday we therefore invited the best and most enthusiastic talent from QX-Quarterly Crossing to a meet and greet evening with workshops and a sumptuous dinner. QX is a global network of excellence that offers both young and experienced professionals a platform to exchange ideas and find support in their career development. In 2013, Goodgame Studios had already served as host for the QX Development Center, an assessment center where new members are accepted into the network. 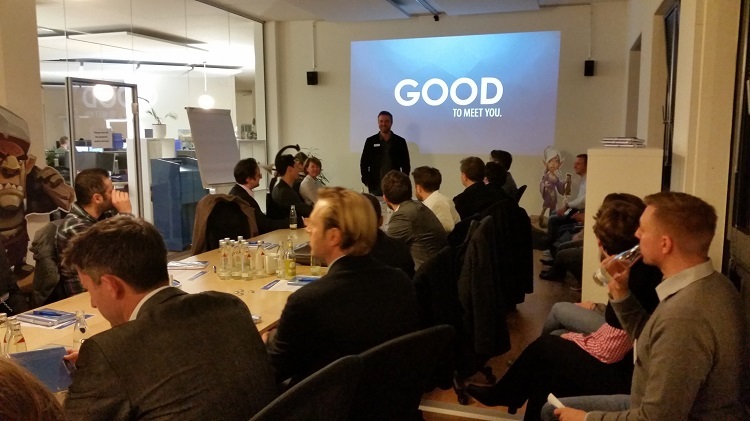 Yesterday’s event made it possible for more than 20 participants from all over Germany to get to know Goodgame Studios personally. The purpose of the event was to exchange ideas and network with like minded people. The program began with a company presentation by founder and COO of Goodgame Studios, Dr. Christian Wawrzinek. A dentist by academic background, he spoke about the entrepreneurial dreams that had shaped him and his brother Kai from a young age. He also shared Goodgame Studios’ success story and how with a starting capital of only 500,000 euros, it has grown into a solid major enterprise in just five years. This was followed by the interactive part of the event where the participants were able to choose from three different workshop topics. The HR workshop addressed the challenges of creating an innovative, sustainable, and successful talent management strategy that takes market conditions into consideration, while still ensuring rapid growth. Online marketing enthusiasts looked at the possibility of a successful internationalization strategy that considerably accelerates future international expansion and makes Goodgame Studios a global player. The business development workshop examined the question of how a company which only provides games can become one of the top ten entertainment providers worldwide. They also looked at which innovative approaches and critical factors for success must be considered when conquering new business fields. The in-depth brainstorming sessions resulted in many creative approaches which were subsequently presented to the whole group and discussed at length by the energetic participants. This one-time opportunity to get an exclusive look into our corporate strategy from none other than the COO himself certainly piqued many people’s interest. Like always, after the work came the fun. The group enjoyed a relaxed atmosphere where everyone was able to network over some food and drink. 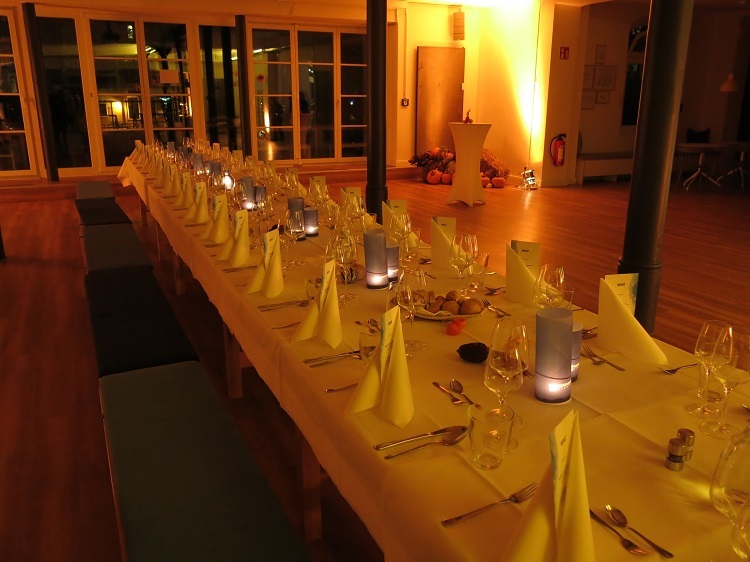 A three course menu accompanied by music provided the perfect setting to delve into discussion and also get to know each other better. 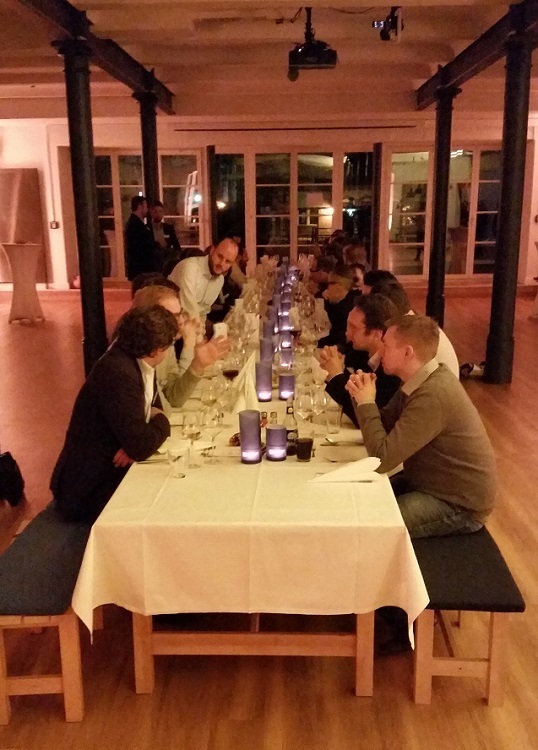 The evening was a complete success, not only for the participants from the QX Network, but also for Goodgame Studios. We are looking forward to our future collaboration with QX, which we will continue at next year’s MBA World Summit.